Earlier this year, Mr. Brianwash lost a court case where he was sued by the photographer Glen E. Friedman over the use of one of Friedman’s photographs as the basis for some artwork by Mr. Brainwash. 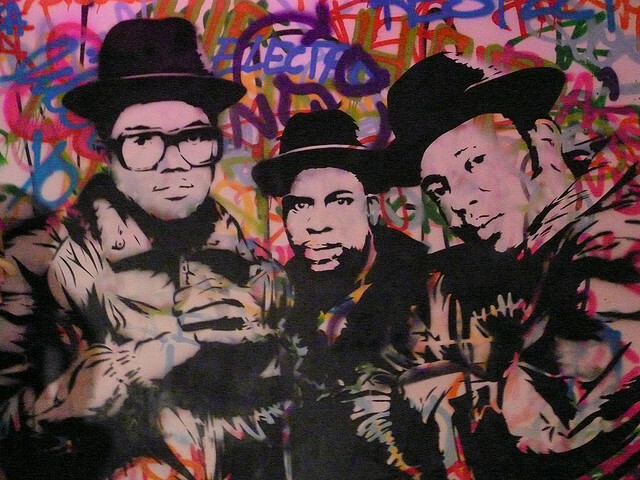 MBW based a number of pieces (including the one shown above) on Friedman’s iconic photo of Run DMC, but did not license the image from Friedman. The prevailing opinion online seemed to be that Friedman was right to sue and that MBW should have paid the license the photo. I defended MBW. Recently, another fair use case has come up where the circumstances are very similar to this case, but for some reason the internet community has come out in favor of the appropriator and against the photographer. That is the case of Andy Baio versus Jay Maisel over the use of a Maisel photograph, modified by Baio, being used as an album cover. It’s an interesting story and you can read the whole thing over here. Supporters in this case have overwhelmingly sided with Baio, to the point where people put up wheatpastes criticizing Maisel on the outside of Maisel’s home. What’s the difference between Friedman versus MBW and Maisel versus Baio? It seems to come down to one simple thing: likeability. In the MBW/Friedman case, Friedman is the likeable character. His photographs are iconic and he’s put in years of hard work. Mr. Brainwash is just bleh, and Exit Through The Gift Shop doesn’t paint the prettiest picture of him. With Baio/Maisel, Baio modified Maisel’s photograph as one piece of a much larger and likeable project, a musical project where the visual component was not a major consideration, but a nice afterthought, and that musical project was a really cool project. Baio looks like he’s been blindsided by Maisel’s legal threats. So now Baio is the likeable character in the story. But the amount of change that each artist did was probably about the same. In fact, Baio probably made less changes to Maisel’s photograph than MBW did to Friedman’s. MBW was trying to be somewhat transformative, and Baio was trying to imitate Maisel. The other component here is money. Maisel is a millionaire and forced Baio to pay over $30,000 to settle a case about a project that Baio wasn’t going to make money off of anyway. And while I’m not sure about Friedman’s financial situation, Mr. Brainwash is known to sell millions of dollars of artwork in one night. And nobody wants to side with the rich guy who is just getting richer off of the poorer guy’s hard work. That’s no fun. So even this comes down to likeability. Everyone wants to root for the underdog. It seems that, at least in the court of public opinion, legal appropriation is little more than a popularity contest. Appropriation is such a grey area that whoever is more likeable is deemed to be in the right. It’s certainly something that I’ve fallen for in the past as well, but in the future I’m going to be a lot more careful, and I hope the rest of the blogosphere will be as well. 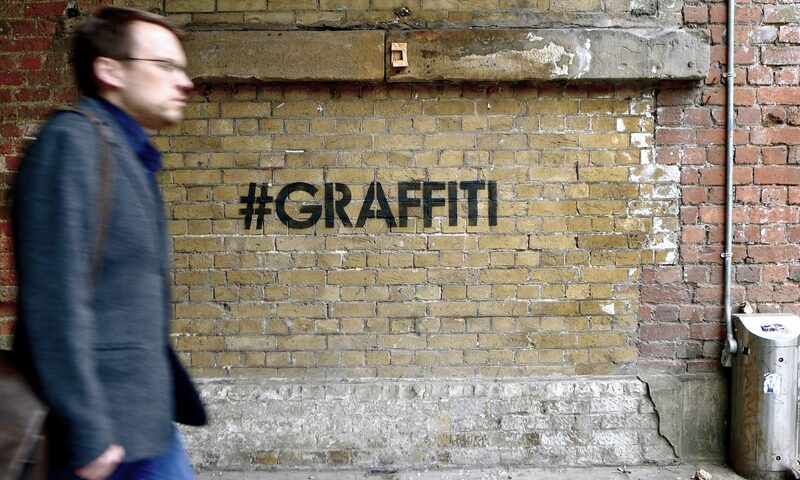 Street art fans should be particularly aware of these issues, as so much street art and pop art relies on some degree of appropriation. For the record, I think that both Mr. Brainwash and Baio were in the right.